This is to share my travelling experience, wherein I have travelled to few of the world’s best countries & places within India along with my parents during our annual holidays. 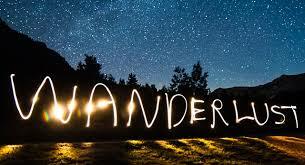 To plan a wanderlust one must confess that how throughly he/she enjoys travelling to different places. The entire process of travelling from selection of destination, to selection of tickets, hotels and sight- seeing, packing ( doing shopping for the missing things) your bags, booking the Ola/Uber taxi to airport, the in flight TV entertainments (also the games) is so much fun. The choice of destination is very different for different people from an international place to a place in India or from a historical place to more vibrant place (with many options for kids). The pleasure of travelling, understanding the culture of the place, meeting new people, having the local food (junk food also), travelling through local transport (taxi, bus, trains at time boats) and the long walks. The hop-on-hop-off is the best way for sight- seeing as they also give audio recordings. Travelling always give (me for sure) a little bit of every place, culture, history and lot of excitement. The souvenirs bought (we have many on our fridge) always remind of the good time one enjoys during travelling and also the time you spend with your parents and friends.The experience of travelling is always so much of fun.